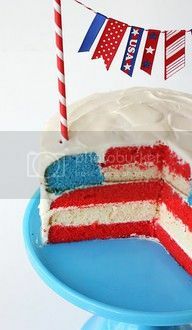 Happy Independence Day to all my stateside friends! 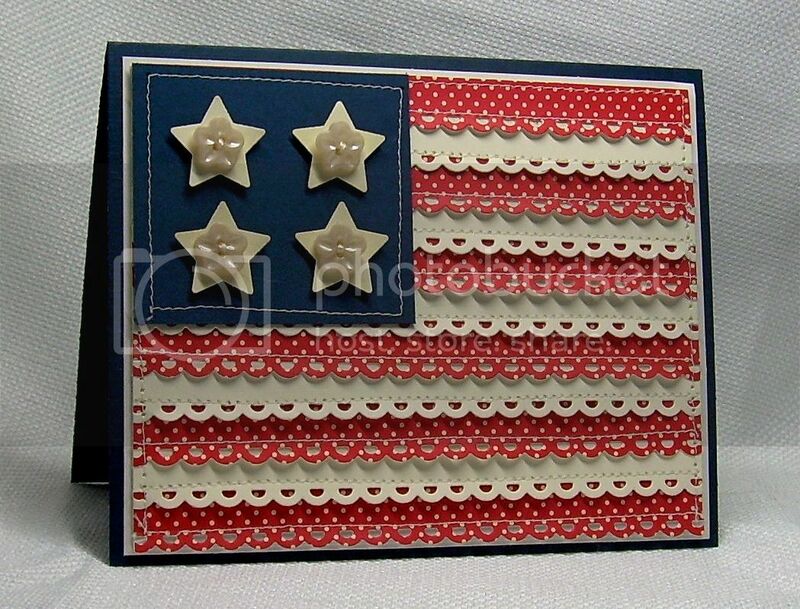 And happy regular 4th day of the month of July to everyone else! 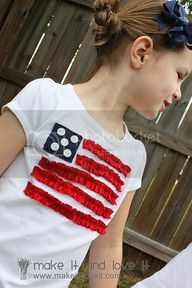 Since most of our festive activities haven't come to pass yet, I'll share some 4th of July things I found on Pinterest today and post what we did tomorrow, just like last year. Get it? Got it? Good! 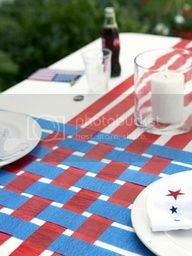 All of the sources for the following photos can be found on my 4th of July Pinterest Board. An oldie (cuz I shared it last year too) but a goodie! 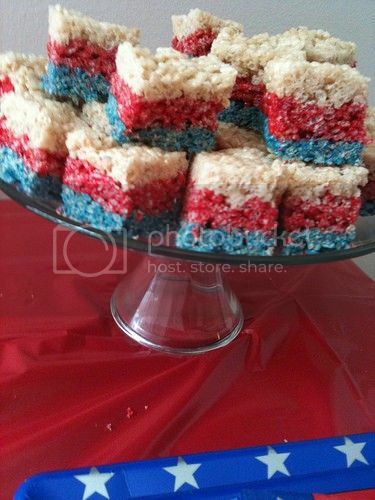 So easy to make and yet so awesome! Mmmm, get in my belly! I have large apothecary jars leftover from Fox's birthday party last year that just sit on my shelf with nothing in them. 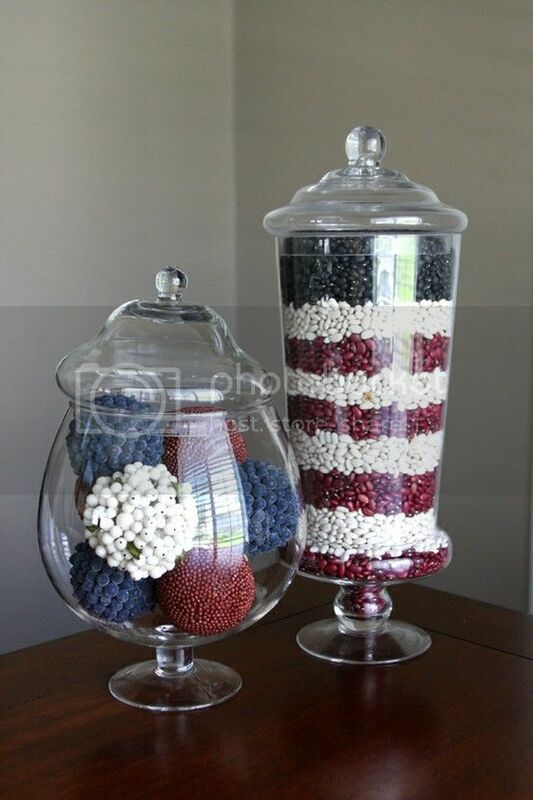 What a good idea to fill them with various things for all holidays year-round! 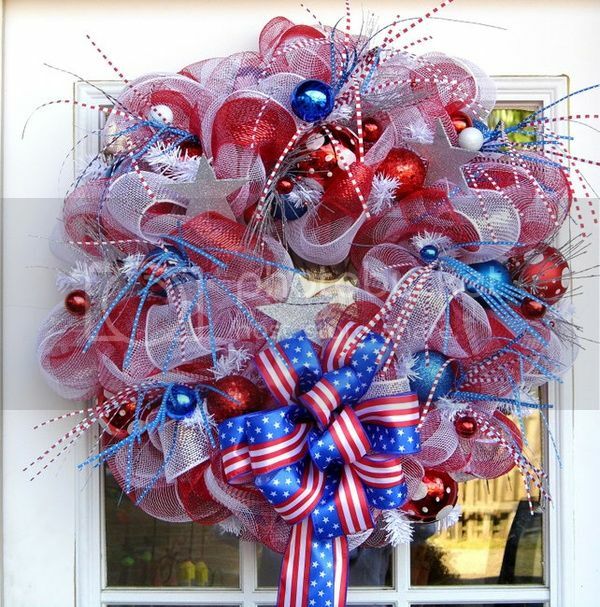 The most festive wreath of all wreaths! It really looks like fireworks! 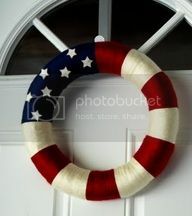 Such a simple wreath but it makes a big impact! 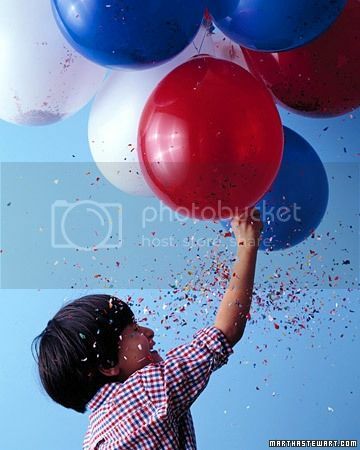 Confetti in red/white/blue balloons? Yes please! 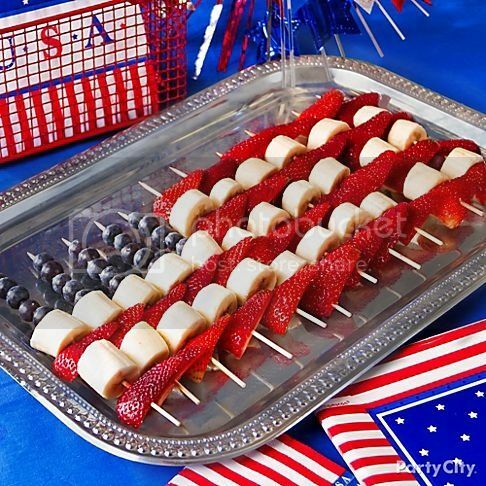 This would be the most perfect 4th of July party invitation! 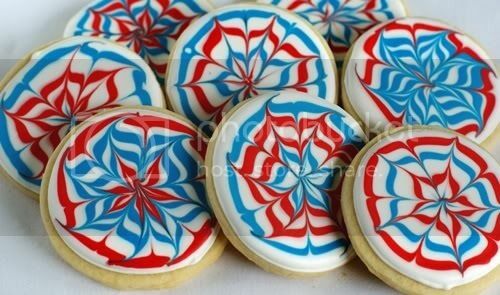 I've always wanted to try making these kinds of cookies! Who woulda thunk to do this? I love it! 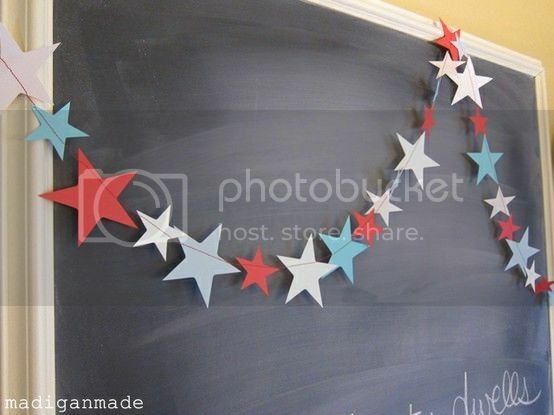 I want to make one of these stat! Maybe Jane will be born today and I'd have the ultimate excuse to throw a 4th of July party every year :) Here's to hoping! These are all wonderful!! 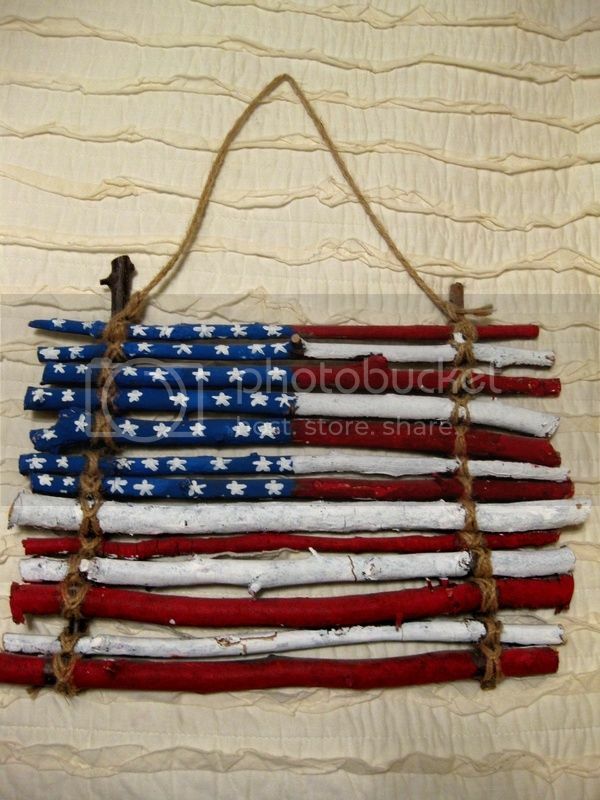 Happy 4th! LOVE these ideas--esp. 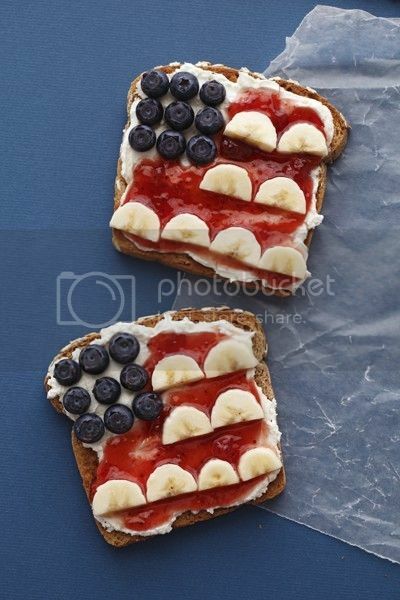 that toast with the jam/blueberries/and bananas!! !